The sheet music for the track Bells Of Lal (Part One) can be purchased below. 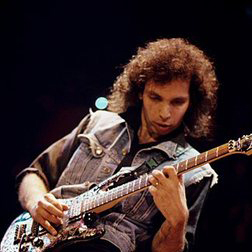 The author of Bells Of Lal (Part One) is Joe Satriani. Leaving customer feedback on a piece or a particular arrangement could not be easier. Just click on the Comments tab, and after selecting a screen name you can post your thoughts on a specific arrangement, or generally on this piece of music. We offer the facility for you to share this song page with the world. If you fancy letting others know how much you enjoyed playing this piece or arrangement then click on the share button on this page and select the appropriate social media which you would like to use. Our catalogue features 1 arrangement of Bells Of Lal (Part One), available for purchase for 1 instrument.